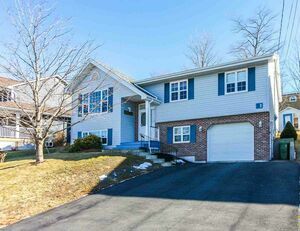 31 Karoline Drive, Lower Sackville (MLS® 201902450): Meticulous, one owner split entry home with attached garage in the sought after, family focused neighbourhood, Armcrest Estates! 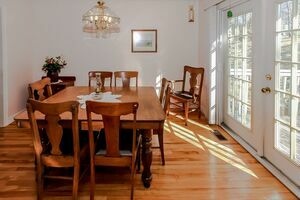 Main level features quality hardwood flooring and stairs, generous sized windows ensuring an abundance of natural light, eat-in kitchen plus dining room with garden doors leading to patio and back yard. 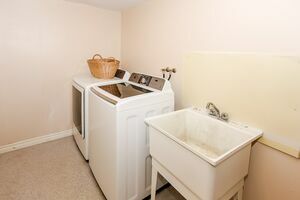 3 bedrooms on one level plus 5 piece bath with whirlpool tub and a separate shower stall. 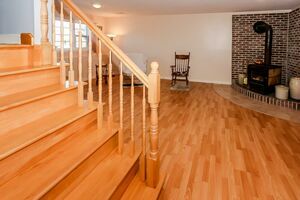 The lower level boasts spacious and bright family room with brick hearth and woodstove to ensure cozy living on our cool wintry nights, full bath, laundry and utility/storage room and garage with walkout. A fabulous location with only minutes to schools, shopping, bus routes, sports stadium, First and Second Lake walking trails, Taiso Gymnastics, Sack-a-wa paddling club, movie theatres, medical centre and Hwy 101 and 102. 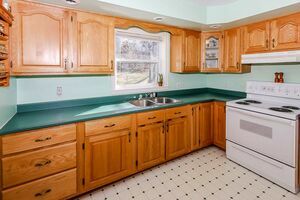 A wonderful home and lifestyle at a great price!